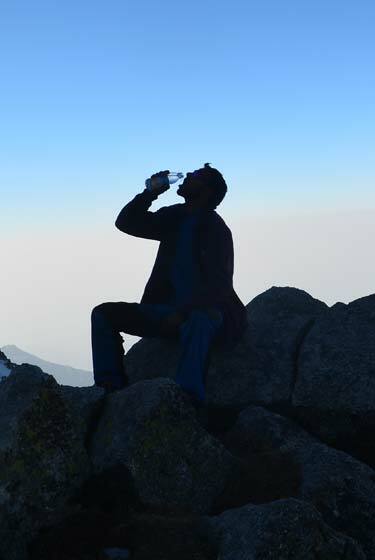 The Moon Peak Trek starts from Mcleodganj through the popular camping ground of Triund, the Laka Got, Lahesh Caves and Indrahaar Pass. Start early in the morning, the weather gets bad in the afternoon. In early summer April to may the trail is full of snow and require good equipment. During post monsoon Sept. to Nov. There is no snow or ice and there is narrow trail going up to the pass. It takes about three hours to the pass. 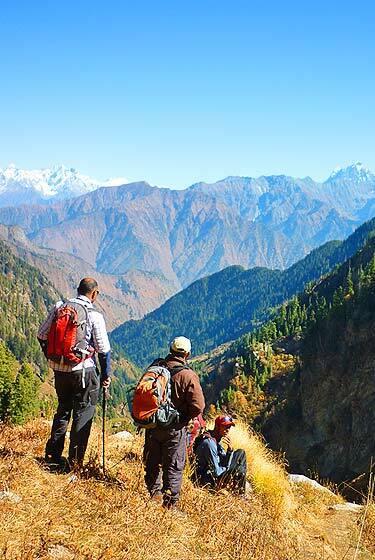 From the pass entire Pir Panjal range of central Himalayas is a sight to behold. Night Stay in Chatta behind Indrahaar pass. Start early in the morning, the weather gets bad in the afternoon. 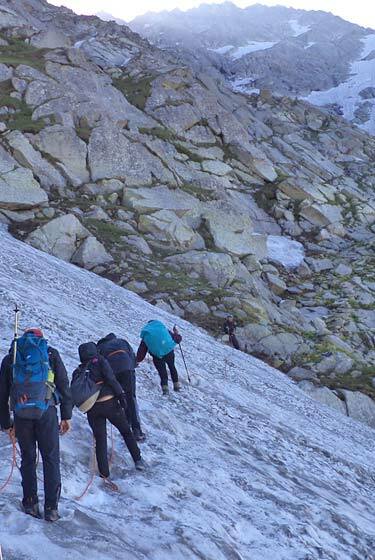 In early summer April to may the trail is full of snow and require good equipment. During post monsoon Sept. to Nov. There is less snow or ice and there is narrow trail going up to the pass. It takes about 4 hours to the Moon Peak. 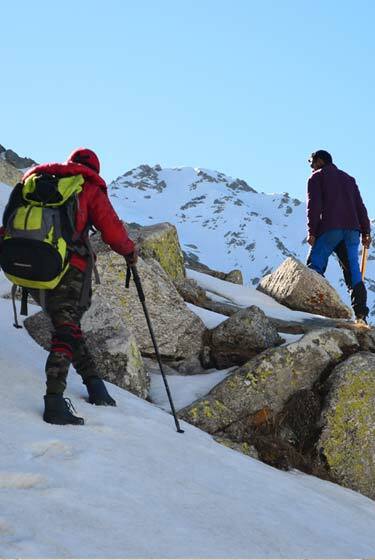 From the Peak we can see entire Pir Panjal range of central Himalayas is a sight to behold and later get back to Laka Got or Lahesh Cave from another side. Overnight Camp in Laka Got or Lahesh Cave. All vegetarian meals During the Trek from Day one to Last day of Trek. Porter, Camp boys and Kitchen Staff etc. 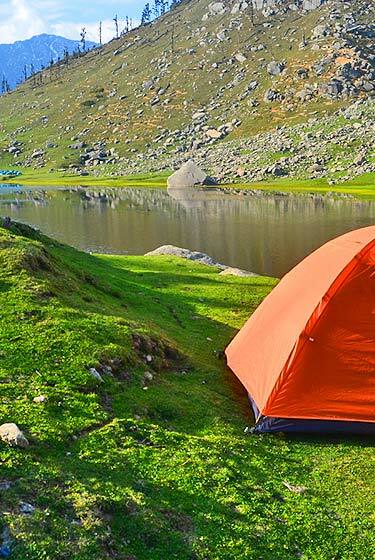 Camping equipment like Tents, Sleeping Bags, Matters, Ropes, carvainis etc – all international quality equipment will be provided. Professional instructor and Mountain guide & Insructors. For travel to Mcleod ganj and back one can choose between air, rail & road. 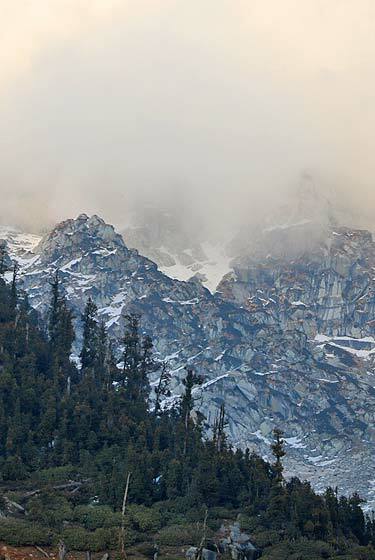 For air travel, the closest airport is the Gaggal DHM, also known as Kangra Airport, or Dharamshala Airport and is well connected to Delhi and other parts of the country by Spicejet or Air India.